[Me] Hey, how’s it going? [Emily] Um…my site is gone. [Me] Like, it’s not loading? Sometimes that happens. Just wait a couple of hours and check back. [Emily] No, as in – there’s a blank WordPress install showing up where my site should be. I’ve been hacked. Obviously this is no way to wrap up a great week. If you’re blogging on self-hosted WordPress, you’re working with the best there is – you have amazing flexibility and control over your content on an awesome, professional platform. But with freedom comes responsibility: it means you’re also responsible for all your own files. 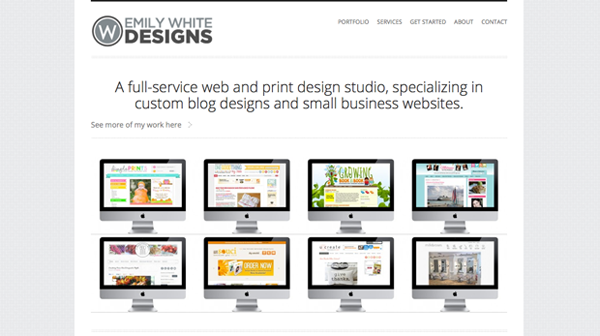 Emily called her hosting company, Bluehost, and while they did have a recent backup of her site, it was a week old…and she had just finished a complete design overhaul of her site. We’re talking, 30 hours of work gone. Luckily for Emily, we had a backup plan: literally the day before, I had installed Backup Buddy for her once her new site was live. In about 10 minutes of setup time, we had created a backup of all her files and sent them to her Dropbox storage folder. It’s something I recommend doing with all new sites, as soon as they’re live. Once we remembered the backup, it was smooth sailing to completely restore her site. We simply erased all the files on her server and went through a 6-step process and BAM! – she was back in action. What are my options for blog backups? I used to use a free plugin called Backup to Dropbox but found it lacking: in order to make it work properly on shared hosting, I had to go through the extra steps of increasing the upload memory limit on my server…and while that isn’t too bad to do once, on my own site, it was impractical to do it for all my blog design clients, as well. Still, it’s free – and if you have more time than money, this might be a good option for you. About a year ago, I switched to using Backup Buddy, for myself and my design clients – not just for backups, but to move blogs to a different hosting company, as well. It backs up not only your WordPress database, but also all your theme files and plugins. I like the fact that I can set a backup schedule (monthly, weekly, or daily) and it will run automatically, saving a copy of my blog to my Dropbox account without me having to ever touch it again. I also like the fact that it’s supported – there is a support forum where I can go if I run into any snags in restoring to an earlier version of my site, and they’ve always gotten back to me within 24 hours when I contacted them with questions. Another choice might be to look to your web host to see what options they have for keeping backups of your blog. I know that with Bluehost (who hosts this site), you can pay a few extra dollars a month and have them run frequent backups for you…and then if you ever need to use the backup, they’re there to restore your site for you. Edited to say: Since publishing this post, I have changed my backup method to VaultPress. At $5/month, it’s an absolutely amazing deal for the added level of protection and ease of use. See my post on the best WordPress plugins for a more thorough discussion. So If you’re running a self-hosted blog, please make regular backups of your blog. Instances of hacking are few and far between, but if you ever do need it, it’s good to know you have a “blog insurance” policy that will get you up and running again. I heard once there are two kinds of people: those who have lost everything on their computer…and those who will. It happened to me back in college and was devastating. I now make back ups of everything on my computer regularly with time machine…but I’ve been curious about how to back up my blog – – until now! Thank you for this helpful post. Currently, I’m on a free wordpress blog (a wordpress.com blog), so is there much risk for me losing my blog now or should return to this page once I’m self-hosted? Hi Lauren, I think the risk for losing your blog that’s hosted on wordpress.com is relatively low; still, if you did want to back up your posts (just in case), you can go to Tools > Export to export a WXR file of your blog. That would just contain your posts and pages, and it’s a tiny file, so you could just keep it on your computer in the event that you ever needed it. Great to know! Thanks, Jeni. Thanks for the reminder to all, Jeni. Backup Buddy looks interesting, but it is costly, so it might be good to offer a free, powerful alternative. Works flawlessly for me on the 8+ wordpress sites I run. 5 stars. Hi Zero, thanks for the tip! That’s a new one since I started backing up my blog. I’ll revise the post to add your suggestion. I appreciate you! Thanks for the reminder! One of those things that often get forgotten until it’s too late. Off to set that up now. 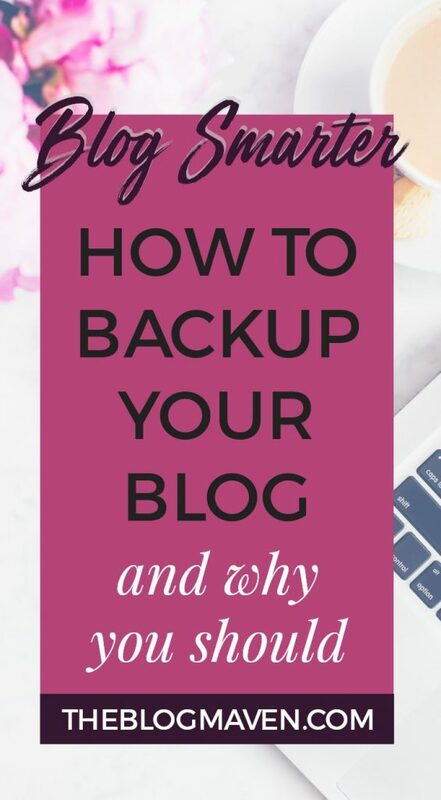 Yep, I run 9 blogs for other people and everyone else was good with their backups, but I came to my blog after that happened to Emily and found I’d never set up backups for my own blog! D’oh! Great post! I sleep so much better knowing that I’m automatically backed up via Backup Buddy. I can’t imagine trying to recreate a site from scratch. The hours and hours of work! I have SO BEEN HERE. It’s been on my mind a lot lately, not having backed up in a while. My blog has been going for over 7 years and my ISP / host does do weekly backups but like your client, you lose all those hours of work in between. It happened to me last year and it was a blinking nightmare. Love the idea of Backup Buddy… will have to check it out. Thanks for the tip. I really enjoy all your articles. Jeni! Thank you for the reminder. This was just what I needed to do. I also think your blog design is great. 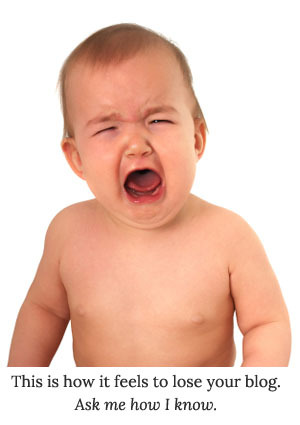 Visually cluttered websites drive me nuts! Thanks – I can’t take credit for this one – it’s an out-of-the-box theme from Genesis. I did some font and color work on it, but pretty much left the styling alone. 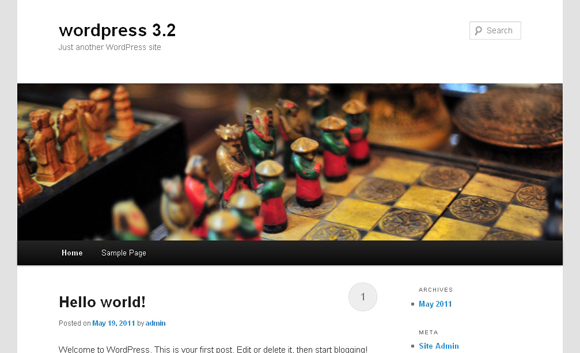 I do custom work for other people, but for my own blog I pushed the easy button. 🙂 Glad you came by! Great reminder! I haven’t ever backed mine up, but I did right now! Thanks! Thank you for this post. It hadn’t even occurred to me to back up my blog. I am, however, on Blogger (I know, you probably think I should switch to WordPress). Are there any backups for Blogger blogs that are reliable and affordable? I’d appreciate any recommendations! Hi Amy, folks on Blogger can do a manual export of their content by going to Settings > Other > Blog Tools (Export Blog). And if you don’t already have a backup copy of your template, you can go to Template > Backup/Restore (at the top right). Unfortunately, there’s no way to automate this with Blogger, but you can do it manually from time to time and should be covered. 🙂 Hope this helps! Thanks so much, Jeni. It helps tremendously. And thanks for all of the helpful information on your site. I can’t wait to explore it more. Thanks for asking Amy, I was thinking and searching for the same thing. Thanks Jeni for providing such a quick and lifesaving tip! I used BackWPup for some time and it was pretty good. Then the plugin was updated and a premium version introduced – the pluin site is now full of complaints about the updated plugin so I’ve stopped using it. BackupBuddy seems to be the premium plugin that gets lots of recommendations. Of course you can always backup site files via ftp and database via Cpanel PHPMyAdmin. “$12/year fee for their “site backup pro” service” sounds brilliant. I sent my host the technical details that BackupBuddy specify as their requirement and my host wasn’t very keen on one of the requirements so I never went with the plugin. I actually backup my own sites manually and most of my client sites are business sites without blogs so they don’t change much. Truth to tell I’m still looking for the perfect backup solution! If you do find a stand-alone solution for backups (independent of hosting) that’s really predictable, I’d love to hear about it! Hi.. 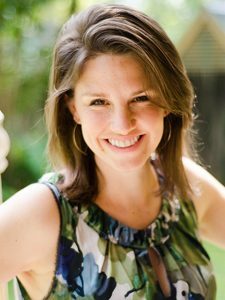 I stumbled on your site through Pinterest as I was looking for ways to get our craft projects to the public and sell them. You have some really good ideas that may be a bit over my head. I want to be able to attach the Pinterest tag to the items we have in our Etsy shop. Is that possible? How do you make money at blogging? Do you sell anything? Oh, I guess you do website set up for others for your living. But what about people that want to move from a hobby to making a living? I also want to resale items as I love being a picker at resale and auctions. How do I move to that next step? Hi Cheryl, thanks for your note! As far as I know, it’s not possible to embed the Pinterest button directly on Etsy yet; if Etsy does decide to support this, it’s something you wouldn’t have to do…they’d take care of it on their end. Thanks for sharing wisdom 🙂 I think the importance of backups is highly felt after you lose your data, files. Before that we all have that habit of taking it for granted and are rather reluctant in giving few moment for securing backup. Probably, the wisdom comes after loss!! It’s nice that you found a solution which works well for you. Your friend’s experience sounds like a real nightmare. Backing up everything is SO important. Thank you so much for sharing these options and why it’s so important!